The spread that Mike, Christina, Brian, and I tried with miracle fruit that I picked up from a VMware employee's fundraiser. Pictured are granny smith apples, kiwis, pineapple, grape fruit, limes, lemons, Ghirardelli dark chocolate, sour gummies, cherry tomatoes, white vinegar, balsamic vinegar, beer, and plain cranberry juice. 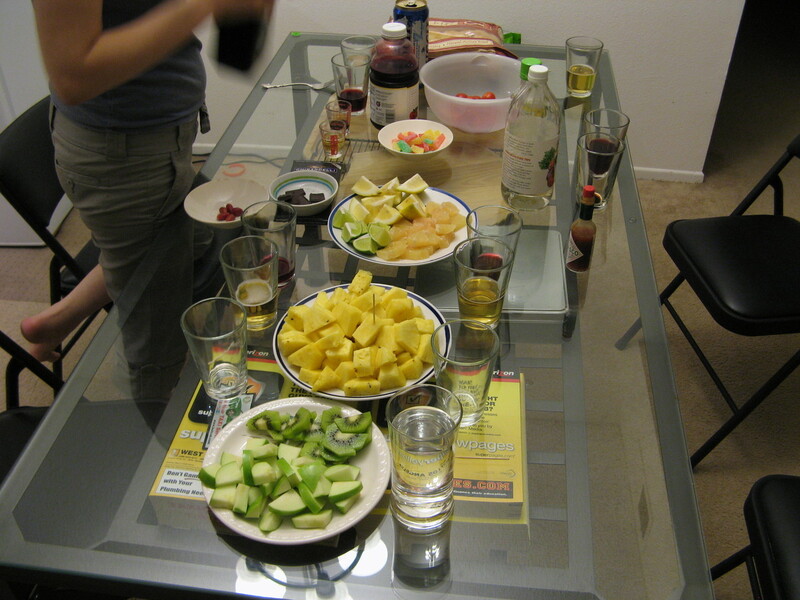 I think my favorite was cherry tomatoes, and the kiwis, pineapples, lemons, and cranberry juice were pretty good. The white vinegar became passable. The beer, alas, did not taste like chocolate.